King Arthur II The Role-Playing Wargame STEAM KEY 75 р. King Arthur II: The Role Playing Wargame (Steam KEY) 76 р. King Arthur II: The Role-Playing Wargame (STEAM/RU/CIS) 89 р. King Arthur II: The Role-Playing Wargame GIFT RU/CIS 92 р. King Arthur II: The Role Playing Wargame - STEAM key 98 р. 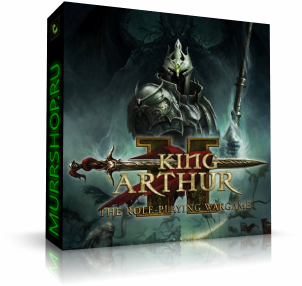 King Arthur II The Role Playing Wargame (steam) -- RU 178 р. King Arthur II: The Role Playing Wargame Steam @ RU 187 р. King Arthur II: The Role-Playing Wargame (Steam | Region Free) 273 р.